Fall Preview: Opera Philadelphia’s Festival O18 begins with Sky on Swings and we recommend checking out Glass Handel. David Lang’s Mile Long Opera is sold out. Nico Muhly’s Marnie at the MET, and Satyagraha comes to BAM. We are looking forward to many this this fall. 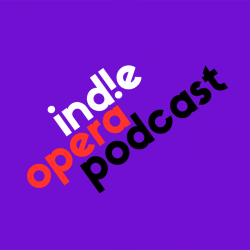 In upcoming OperaFix episodes you will be hearing interviews form Opera Philadelphia’s Festival O18 which is set to begin in a few days. On last week’s opera fix you heard about the World Premiere of SKY ON SWINGS by Lembit Beecher and Hannah Moscovitch Sept 20 – 29 at the Perelman Theater. We also recommend you check out Glass Handle at the Barneds Foundation. Superstar countertenor Anthony Roth Costanzo and the New York-based luxury art and fashion multimedia company Visionaire create an hour-long operatic art installation with the music of George Frideric Handel and Philip Glass, Sept 22 – 30. Unfortunately, if you wanted to see David lang’s The Mile Long Opera – A Biography of 7o’clock, which brings together 1,000 singers from across New York for free performances on the High Line, October 3—7, 2018, is sold out! But there is a waitlist. Marnie at the Metropolitan Opera (October 19) Nico Muhly’s opera based on the Hitchcock classic makes its New York debut. Satyagraha at Brooklyn Academy of Music (October 31) performed by Swedish circus company Cirkus Cirkör and Swedish opera company Folkoperan.